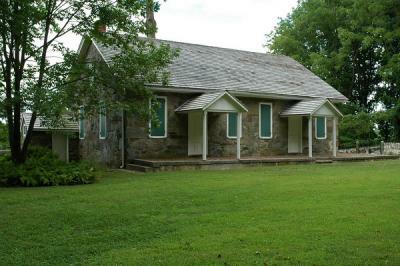 After the Separation of the original Kennett Preparative meeting, the Orthodox branch built a meeting house in 1830 in Parkersville on land purchased from John Parker. The meeting was held here until 1888 when the meeting moved to Kennett Square. THe meeting house was still used occasionally for special occasions. Beginning in 2004, a small group of Friends have been gathering for worship at Parkersville and consideration is being given for the meeting to be reactivated as a Preparative meeting. The historic meetinghouse is opened annually in September.